Nancy Neale died peacefully surrounded by family and loved ones in Nanaimo General Hospital, 7:00 pm March 29, 2007. Nancy was a well recognized part of the Parksville community where she made her home after retirement from the family real estate development business in 1979. Born in Minitonas, Manitoba she along with three elder sisters and two younger brothers lived their childhood years with their parents, Marie and Jasper Wardle in Bowsman, a small village in the heart of the Swan River Valley located in northern Manitoba. Nancy and her second husband Robert Joseph Roberge had four daughters and a son, most of who reside on Vancouver Island today. Her love of life and ability to find joy in each moment made her a dear and precious friend to all she touched. 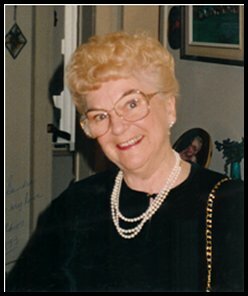 She was an active and devoted member of the Lions Club in Nanoose Bay where she took great pride in her full membership status and was an ever present contributor to all their community service and philanthropic activities. She will be missed by many but none more than her loving husband, fellow Lions member and cherished friend, Robert K Neale who resides at 583 Panorama Place, Parksville, BC. A memorial celebration will be scheduled on the 85th anniversary of her birthday on June 12 of this year at the Neale Residence. Details of that gathering will be announced prior to that date. Although flowers brought her great joy in life, she would have most appreciated donatations, in lieu of flowers, made to the Lions Club in her name for their many worthy projects.